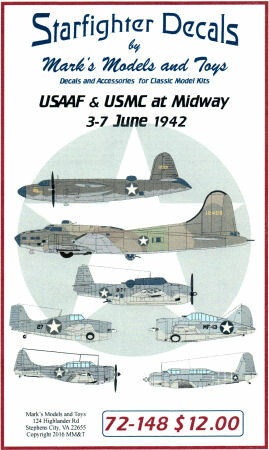 Starfighter Decals has released this nice set of USMC and USAAF combatants that were operating from Midway Island shortly before and during the Battle of Midway that turned the momentum of the Pacific War over to the allied forces. 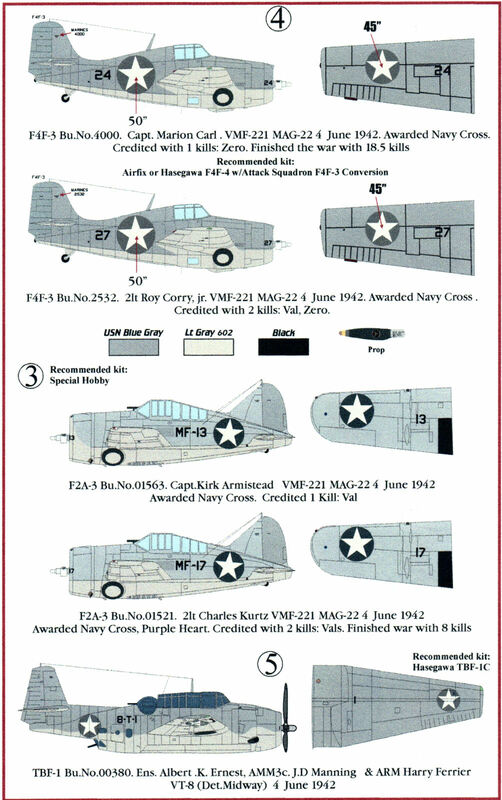 This provides sufficient markings to do at least one of each aircraft type and the instructions provide color callouts and marking placements for each subject. 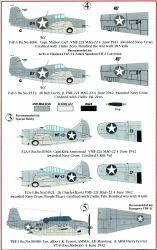 The instructions also provide recommended kits for each of the subjects presented. You can purchase these decals directly from Starfighter Decals on their website. My sincere thanks to Starfighter Decals for this review sample!